Situated in the very heart of the Luzon Island group, Metro Manila is one of the most developed regions of the Philippines. This enchanting city is blessed with excellent transportation links, which connect Manila with the rest of the country as well as most major cities in Asia by air and sea. The large and modern Ninoy Aquino International Airport is the main gateway to Manila and the rest of the Philippines, and people arrive here from all over the globe. Located just seven kilometres from the heart of Manila, the airport offers an excellent range of transportation links into the city. Manila’s main bus terminals can be found in Quezon City, which is conveniently located near the Cubao district of Manila. Buses run by the Philtranco company regularly depart for popular destinations in the Philippines. Exploring Manila is simple, as taxis are cheap, while the city also offers an excellent range of transportation options in the form of buses, jeepneys and an efficient and clean metro service. 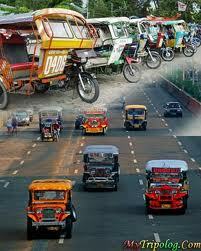 More on getting around Manila. An impressive network of ferries connects Manila with many of the 7,000 islands that comprise the Philippines, and this is also a good way to explore the surrounding area. More on Manila ferries. While Manila offers a wide range of different transportation options to choose from, those who are unfamiliar with the city will probably want to explore using taxis, at least at first. Fortunately, travelling by taxi is quite cheap, and all taxis come equipped with a meter. However, the city’s roads can become rather crowded at rush hours when people take to the roads to travel to and from work and school. It is best to try to avoid travelling between 07:00 to 10:00 and 17:00 to 19:00 if possible, as the roads tend to be snarled up with traffic jams at these times. Located close to Pasay City and Paranaque, Manila International Airport offers quick and convenient connections to a large number of destinations in the Philippines, and this is a good way to travel for those who can afford it. 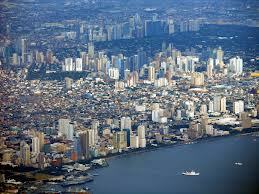 Diosdado Macapagal International Airport can be found at Clarke Fields and also offers a large number of flights. 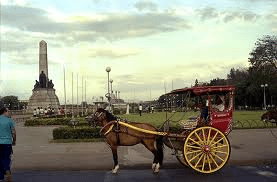 Getting to and from the airport is easy, as coupon taxis are available to take visitors into the very heart of Manila in a mere matter of minutes. Those who are keen to pinch the pennies can also take a bus for a few pesos. The cosmopolitan capital city of the Philippines, Manila combines enchanting historical attractionssuch as magnificent churches and forts with modern shopping malls and other amenities. The city boasts something for everyone, and this is an excellent place to use as a base while exploring the surrounding area. The Filipino people are known for their warm and welcoming nature, and visitors should feel right at home as they explore the city of Manila. English is widely spoken right across the board here, which makes communicating particularly easy, and local people go out of their way to make sure that visitors have everything they need while exploring the city. Manila makes the perfect base to explore the historical Corregidor Island in the bay as well as the enchantingly rugged Bataan Peninsula, while nature lovers will appreciated the picturesque Laguna area and Lake Taal. The is an excellent range of modern amenities in Manila, which ranges from world-class hotels and shopping malls to restaurants that serve Western food. Manila has a reputation of being a particularly safe city to explore, especially for those who stick to the main tourist zones. Located in the very heart of the city, the Intramuros district of manila is simply bursting with interesting attractions, and this ancient area offers an insight into the city’s colonial past. Visitors will discover a large number of enchanting cathedrals and other buildings here such as the enchanting Fort Santiago, while no trip would be complete without taking time to explore places such as St Augustine Cathedral and Casa Manila. Taking a stroll along the Manila Bay promenade is the perfect way to escape the hustle and bustle of the city for a while, before taking a tour of vibrant districts such as Quiapo, Binonsa and Makati. Manila – the flagship city of the Philippines – is a very diverse and busy metropolis overwhelmed by people, culture, sights, sounds and all the charms of a bustling capital. 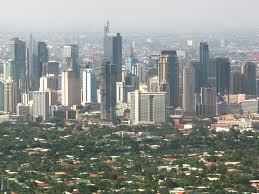 It is often described as a city of intense contrasts – of rich and poor, urbanity and rusticity, quiet and chaos. The city’s airport is one of the gateways that welcome tourists to the country (the other major gateway being nearby Clark in Pampanga). From historical monuments to leisure and recreational attractions, everything is within reach from the heart of this thriving city. Intramuros (the old town) is the most historically significant portion of Manila, and is also the oldest portion of the city. 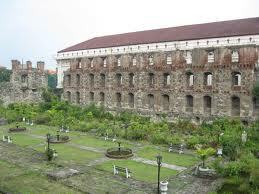 Intramuros is a walled enclave, located right on the banks of the historic Pasig River, dominated by century-old and medieval buildings, churches and other historic establishments. To date, the site is one of the most visited tourist spots in the city. This historic park is the site where the Philippines’ national hero – Dr. Jose P. Rizal – was shot dead and became a martyr for the love for his country. The park is one of the best open spaces in the country, and among the largest in Southeast Asia. It is lined with ornamental gardens, beautiful plazas, numerous art galleries and open-air spots. The National Museum of the Philippines is one of the most comprehensive and probably the largest museum in the country, offering a wide range of exhibits that cover history, culture and even the natural heritage of the Philippine Islands. 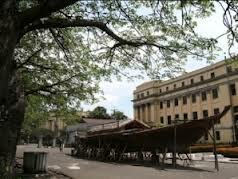 Different sections are dedicated to zoology, botany, art, geology as well as anthropology and archaeology. It likewise houses some of the oldest human remains and prehistoric specimens from the different parts of the archipelago. One of the largest and most vibrant cities in the whole of the Philippines, Manila is famed for its colourful nightlife scene. Many of the bars, restaurants and pubs here open before the sun sets, while those who like to party hard will be able to dance until dawn in the biggest and brightest of the nightclubs here. Famous DJs from all over the globe are attracted to Manila to spin their latest tunes on the decks. Manila’s nightlife scene has something for everyone, and there are plenty of chilled out bars to sit and sip a drink or two, while the city is also known for its naughty side, which focuses around a thriving red light zone. Music is also very much a part of the nightlife scene here, and live music can often be heard in the city’s bars and pubs.